We offer a wide assortment of high quality gear winch assembly. 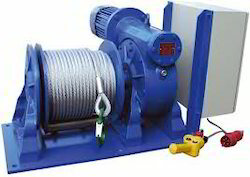 Our organization is involved in offering a wide range of Winch Gear that is designed to meet varied industry purposes. This Winch Gear is corrosion resistance and is known widely for its high durability. These Winch Gears are used in loading, unloading and pulling heavy articles at diverse speeds. Technical Specification: 600 mm to 1100 mm diameter. for lifting, pulling, hoisting movements. Winch rope protective sleeve suits 8, 9, 10, 11, 12mm diameter winch ropes in Team DNA orange. Price is per metre [please select the quantity [length] you require at checkout. to help you get the maximum life from your winch rope. 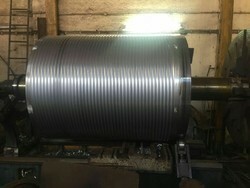 We manufacturer wide range of Winch Reduction Gear. Further the effective use of advanced processing facilities also provides in the finished products flawless finish quality standards. Our reputed entity is engaged in supplying Winch Parts. ALL TYPE OF PIN BUSH & WINCH PARTS. The Winch Drives Gear Boxes are planetary gear units, with rotating outer casing, designed to be fitted into the winch drum: the PWD series for drive applications varies from 3 to 12 tons and the SLW-SCW series for applications exceeding 12 tons. From our wide range of products, we offer optimum quality Winch Spare Parts to our prestigious clients. These spare parts are manufactured using high quality raw material and advanced technology. We offer these spare parts in different related specifications, designed to suit ever-evolving requirements of our prominent clients. Note: We deal in Hydra Crane Spare Parts Only.